How you use your workspace, from the way you sit to the way you decorate, can influence overall productivity and creativity. Simple things like knowing how to place your feet on the floor or when to hit pause on Pandora can all make a difference in optimizing work efficiency. 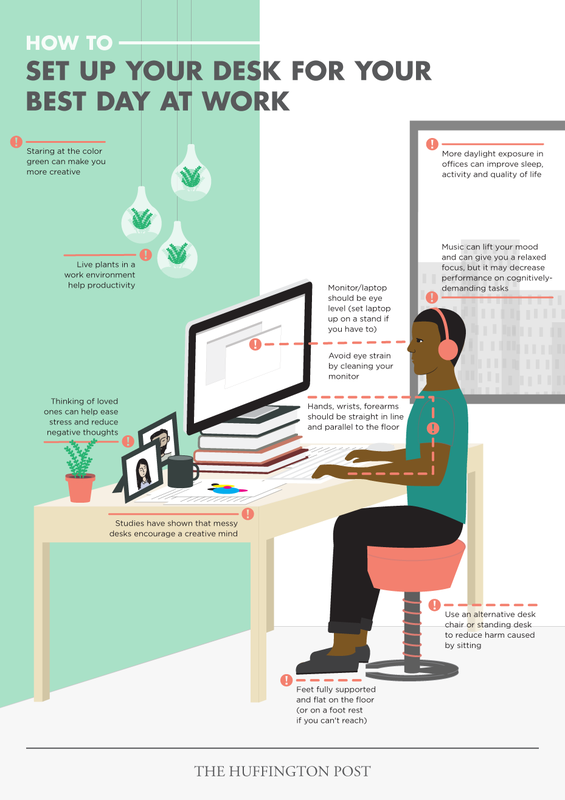 Take a look at the infographic below to see how exactly to set up your desk for success. To-do list: Demolished.